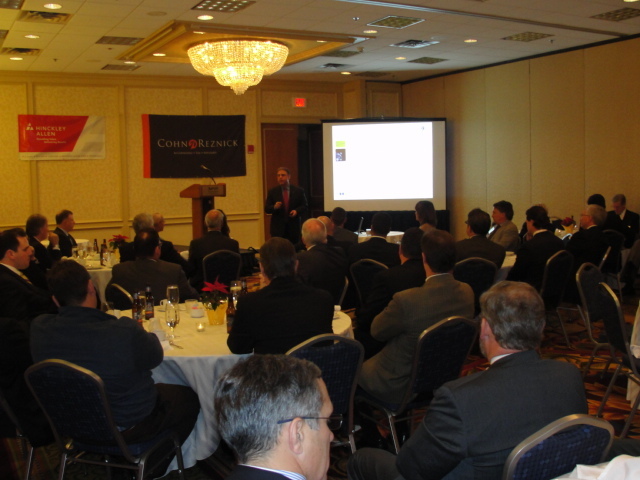 December 4th saw the gathering of over 90 construction leaders for the annual CFMA/AGC of Massachusetts Economic Summit. As the local construction industry shows signs of recovery and growth, it is important for corporate financial managers and company leaders to understand the ramificications of these events. Amongst those issues facing success in recovery include, new and returning employees, medical inflation, interest rate and contractual changes, health of the subcontractor community, regulatory and judicial changes and market impacts on scheduling and alternative delivery methods. These challenges and the regional economy started the discussion presented by Scott Rasor, Head of construction for Zurich North America. Scott has over 29 years of insurance industry experience from claims liability management, surety underwriting and establishing protocols for Zurich's Specialty and Controlled Insurance Products. Scott reviewed the current economic situation as compiled by FMI and AGC and went on to explain how the insurance/surety industry sees the current market and how they view the sustainability of the market and the players within. 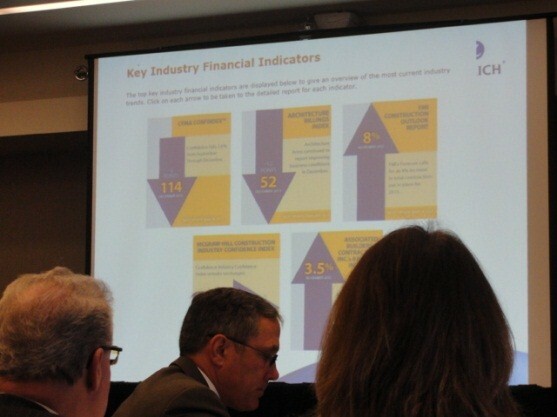 Overall, the insurance industry sees a 6% growth for the construction market in 2014. Most of the growth will come from private residential and private non-residential markets while Public markets are forecasted to decline. The final insurance impact on 2014 will be a definition of What is Good Contracting Risk? For that will dictate whether or not our market will move forward in the immediate future. "Risk is there, manage it." 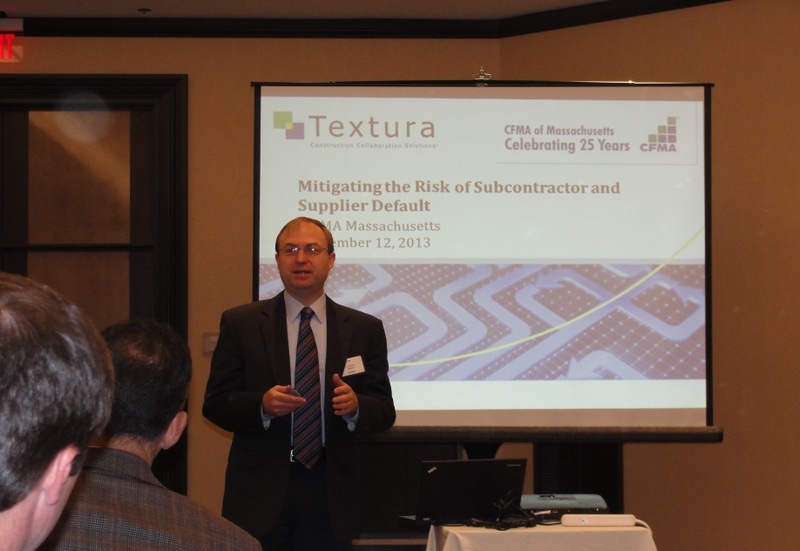 Mr. Jon Halloran, Executive Vice President of Client Services for Textura presented a discussion entitled "Mitigating the Rik of Default" at the November 12th meeting of the CFMA of Massachusetts. Jon has worked directly in, or serving the construction and engineering industries for over 20 years. Most recently, he was Vice President of Construction Specialties for Zurich North America's Construction business unit. Qualifying Sub-Contractors as the economy picks up is crucial as the past year's travails has left many sub-contractors with a diminished capacity to perform and to finance their own work. As Jon pointed out, risk is also inherent up stream; that is, subs need to verify the ability of the general contractors and owners to deliver payments and obligations to the sub-contractors and suppliers "down stream". This risk needs to be managed from every level in the delivery of a construction project. Communication between all parties can mitigate the inherent risk be it from the design/award perspective, the payment/delivery perspective and, the cross-review of progress amongst all parties. Mr. Halloran has worked in the trenches as a Project Manager/Project Engineer/Cost Estimator/Site Manager for operations throughout the United States and internationally. His perspectives on Risk Management comes from hands on experience and his presentation left the members present with an appreciation of the importance of Risk Management that each Construction Financial Manager needs to address. A copy of this presentation is available for download in the CFMA of Massachusetts Document Library. 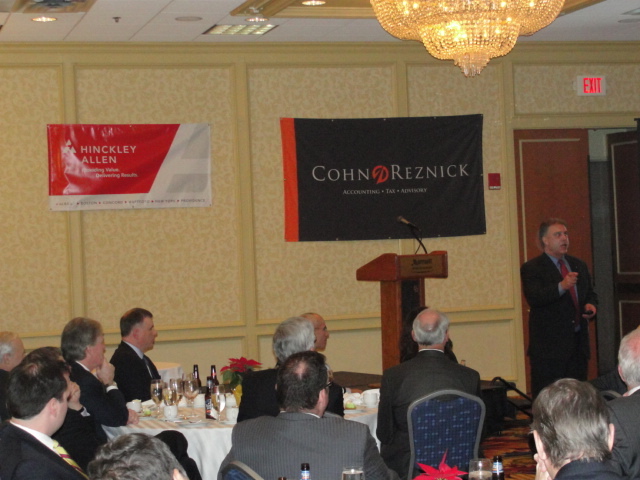 McGladrey, LLP presented a two part discussion for the October 8, 2013 meeting of the Construction Financial Management Association of Massachusetts. Greg Natalucci started the program with a FASB Standard Update that focused us on FASB/IASB joint projects (Leases and Revenue Recognition), proposals endorsed by the FASB Private Company Council and, AICPA’s Financial Reporting Framework for Small and Medium Sized Entities (FRF for SME). These updates highlighted the areas that will soon affect our financial reporting procedures and how we need to begin planning for these changes. 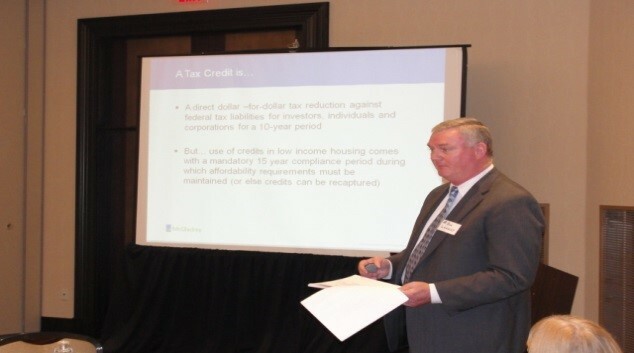 The second discussion was led by Bob Langley and centered around an overview of tax-advantaged real estate financing . Since the inclusion of Section 42, of the IRS code, in 1986, tax credits have been available on the federal level for the development of low income housing. Many states and municipalities also have programs available for these types of projects. Bob explained how the federal credits are allocated to the various states based upon population and took us through the procedures for qualifying for the program in Massachusetts. The discussion concluded with some examples of projects that Bob had participated in and the benefits and pitfalls of this type of development. A copy of this presentation is available for download in the CFMA of Massachusetts Document Library. 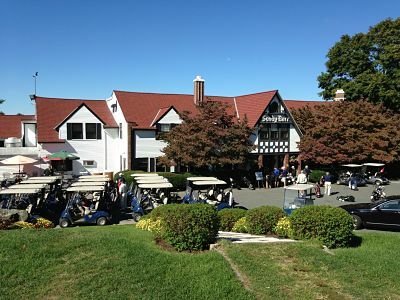 CFMA of Massachusetts held its Annual Golf Tournament at Sandy Burr Country Club in Wayland, MA on September 24, 2013. With temperatures in the low 70’s and under sunny skies all afternoon, the table was set for an enjoyable day of golf. A record turnout of golfers in combination with the generous sponsorship resulted in another successful Tournament that will enable the Chapter to again award deserving students Scholarships in 2014. The Massachusetts Chapter established a scholarship fund for eligible students pursuing degrees in accounting, finance, architecture, engineering, and construction management. Many thanks to this years’ participants and all of our great sponsors for making this such a wonderful event. 9/10/13 Alternative Dispute Resolution - "Mediation"
The Massachusetts Chapter of CFMA kicked off the new season of educational breakfasts on September 10th with a program titled “Preparing for Success at Mediation“. 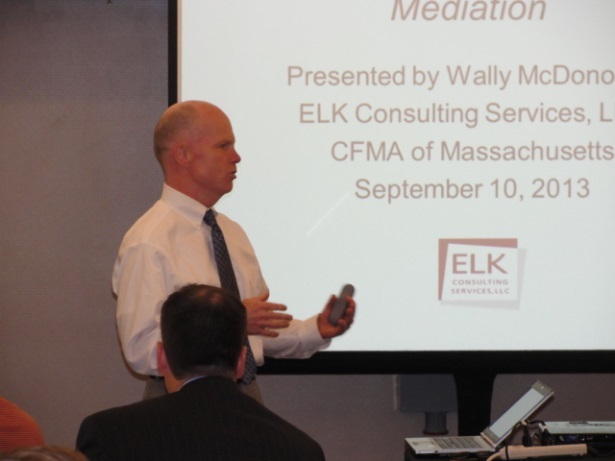 Wally McDonough, President of ELK Consulting Services, LLC a client representative and mediator, took the attendees through the process of successfully preparing our organizations for mediation and keys to presenting damages at mediation. Atty. McDonough stressed that there is no substitute for preparation to a successful presentation in the mediation process. Focus on the effect of the outcome of the project rather than who did what to whom. Find out the strength of your case, through the mediation process, before you pursue arbitration or litigation. In this session Wally provided practical tips and strategies to create the best chance to settle a dispute in mediation. A copy of this presentation is available for download in the CFMA of Massachusetts Document Library. 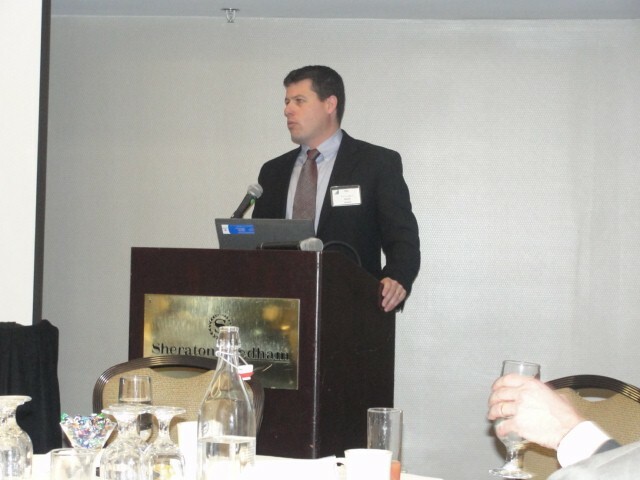 The May meeting of the Massachusetts Chapter of the Construction Financial Management Association was the annual Leadership and Scholarship meeting. 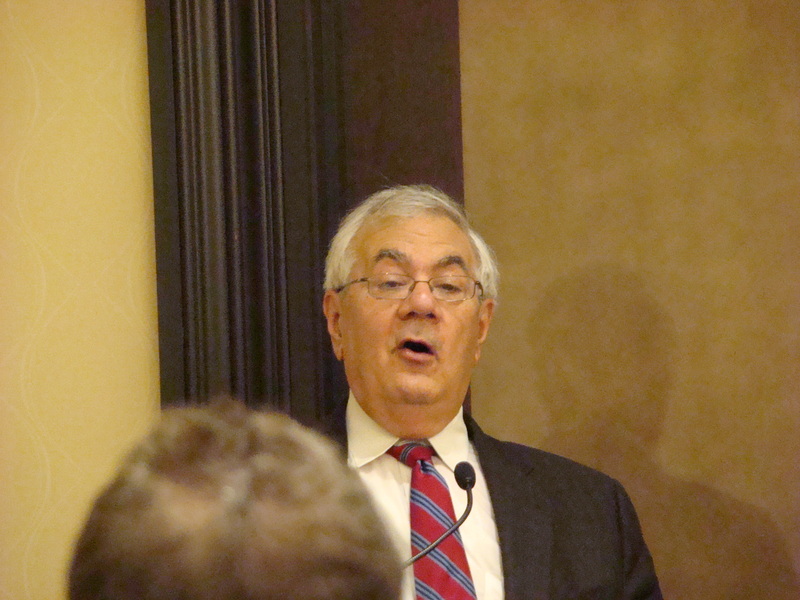 The keynote presenter was the former United States Congressman Barney Frank. First elected to represent Massachusetts in 1980 Congressman Frank is known as a superb legislator and a pragmatic politician whose sharp intellect and sense of humor made him one of the most influential and colorful figures in Washington. While in congress Frank worked to adjust America’s spending priorities by providing aid to local communities and building affordable rental housing for low income people. He also led the fight against discrimination, championed the interests the poor, the underprivileged and the vulnerable. Prior to his retirement Congressman Frank won re-election to 12 terms by consistently, wide margins. As Chair of the House Financial Services Committee from 2007 until 2011, the Congressman was instrumental in crafting a compromise bill to stem the tide of home mortgage foreclosures, as well as the subsequent $550 billion rescue plan. He worked to adopt a sweeping set of financial regulations aimed at preventing a recurrence of this crisis and was a key author of the Dodd-Frank Wall Street Reform and Consumer Protection Act of 2010. He also led the passage of the Credit Cardholder’ Bill of Rights Act. Franks’ remarks were centered around the theme that the United States is “over committed” in the rest of the world and as such, too much is asked of our military thus leading to the requisite over spending by the federal government in supporting our presence around the world. In presenting his thoughts regarding the current challenges confronting both federal and state governments and also addressing questions for the attendees, Frank demonstrated his ability to simplify the issues in an entertaining a witty way. At this meeting CFMA of Massachusetts awarded its Annual Scholarships to five deserving students who are all enrolled in either accounting, engineering or construction management programs and are the children of members or whose parents work at member firms or are, themselves, employed by member firms. This has been an annual event at the Massachusetts Chapter for well over a decade. Gina Conti has interned at Bond Brothers Construction and is currently enrolled as an Accounting Major at the University of Rhode Island. Brian Fannon has interned at Reilly Electric and is following in his father’s footsteps as a Construction Accountant and plans to complete his studies at the Carroll School of Management at Boston College in 2016. Katherine Dougherty was raised in a family where both of her grandfathers were engineers and her own father was involved in construction. She has interned with Jacobs Engineering and Suffolk Construction and is currently enrolled in the Civil Engineering program at Northeastern, in the class of 2015. Tyler Hoffman has interned with JF White Contracting and is currently enrolled as a Mechanical Engineering Major with a Mathematics Minor at the University of San Diego with an anticipated graduation in 2014. The final recipient of this year’s scholarships is Miller Huffman. Tyler has gained industry experience through internships at both Barletta Heavy Division and GZA Environmental. Currently enrolled in the Civil Engineering program at Northeastern University, Miller plans to graduate with the class of 2014. How can we as CFMs significantly reduce the cost of doing business for our firms? Become champions in the quest to shift the rationalizing of injuries and fatalities in our industry as just an unfortunate aspect of being constructors to the idea that we can, in fact, drive a successful Zero Incident philosophy to increased profitability. At the April 2013 Education Seminar Eric Lambert, the National Director of Construction Quality and Safety for Zurich North America Commercial, presented took us through research conducted by the Construction Industry Institute that indicates that we should be moving away from using lagging indicators such as Total Recordable Incident Rates, Experience Modification Rates and loss history to measure safety performance to driving improvement toward Zero Incidents. To this end we learned that by measuring our safety performance using predictive analytics, gleaned from over 120 million construction observations, we can proactively identify and maximize our leading indicators to drive the Zero Incident philosophy. Eric illustrated our this culture change within the organization can have a profound, positive, impact on the organization not merely from the employee safety standpoint but also from a profit management view point. Eric co-authored an article on this topic with Cal Beyers, a long-time contributor to CFMA, for the January/February CFMA Building Profits and will be presenting a session at the CFMA National Convention held in San Diego in June 2013. A copy of this presentation is available for download in the CFMA of Massachusetts Document Library. The new officers of the CFMA Massachusetts Chapter we installed at the recent breakfast meeting in April. New President Joe Gates, of Sagamore Plumbing & Heating, Inc.,(L) took time to thank out going President John Tessicini, Consigli Construction Co. Inc.,(R) for his hard work over the past two years continuing the organization’s 25 year tradition of insuring that the members are at the forefront of the industry by providing comprehensive, informative and timely information and fostering relationships within the organization to enhance the skill and knowledge of financial professionals in the construction industry. Vice President - John Hastings CCIFP, Costello Dismantling Co., Inc.
Treasurer – James Dinardi, Trinity Building & Construction Management Corp.
William Mee CCIFP – Palmer and Sicard, Inc.
John Donnelly – Limbach Inc.
Michael Sams – Kenney & Sams, P.C. Joseph Hehir – GZA GeoEnviromental, Inc. 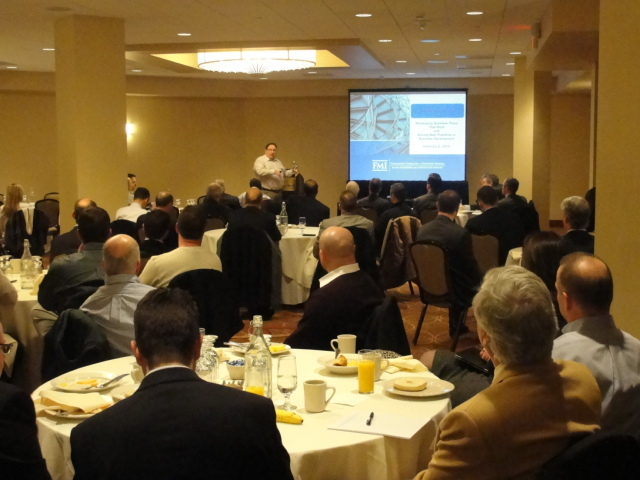 The Massachusetts Chapter was pleased to welcome its friends from the Associated Subcontractors of Massachusetts to an educational breakfast meeting on March 12, 2013. The topic; Complying with the Affordable Care Act: The Way Forward for Employers, was introduced by Timothy Doherty of the Pinnacle Financial Group. Tim is the Managing Director for the firms’ Health and Welfare practice. The opening remarks were directed towards expected changes in the funding and administration of benefit plans and the development and implementation of plan design strategies as the Affordable Care Act unfolds. Following Tim was attorney Alden Bianchi, the Practice Group Leader of Mintz Levin’s Employee Benefit & Executive Compensation practice. Atty. Bianchi represented the Romney administration in connection with the Massachusetts health care reform law, and he testified before the U.S. Senate Finance Committee on the legislative proposals leading up to the Affordable Care Act. Both individuals provided insight into the changes that are forth coming under the ACA and changes employers may have to make to come into compliance with the act. Mr. Bianchi is the author of the Bloomberg/BNA Health Care Reform Advisor, a comprehensive work on the impact of ACA on employer-sponsored group health plans and has a follow on book “Employer Shared Responsibility that will be published later this year. Members of both associations left the meeting with a better understanding of the Affordable Care Act and the changes it will be bringing in 2014, and beyond, as the full scope of the act begins to impact the way our firms provide employee health benefits. 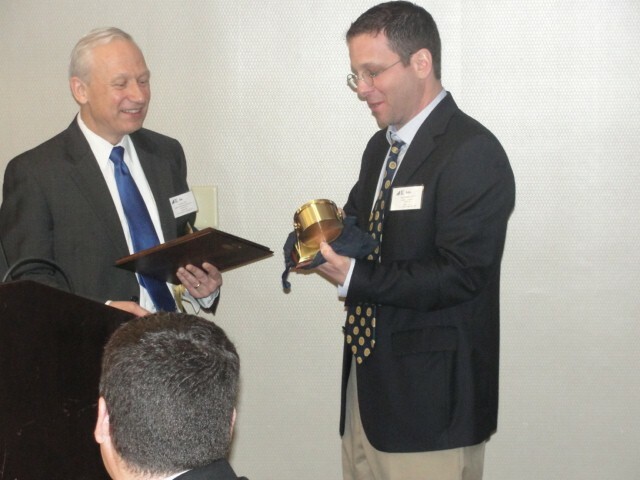 The February education breakfast featured Gregg Schoppman from FMI. 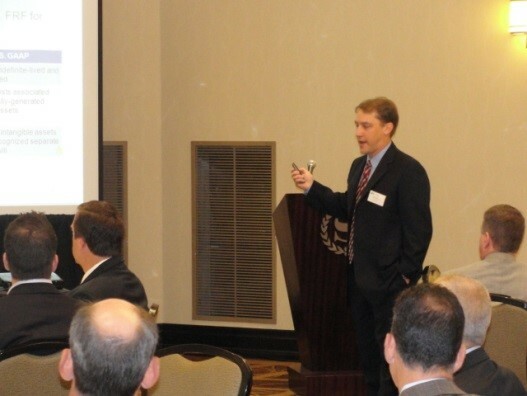 A frequent presenter to the Mass Chapter, Gregg reviewed the results of FMI's recent research into how organizations have weathered, and in some cases grown, through the downturn by leveraging the business development culture within their firms. Trying to make sense of the changing markets many firms are putting more effort into their business development approach and tying those efforts to their business and strategic plans. Planning, goal setting and measuring results have been the keys to instilling a business wide business development culture in the companies that have had the most success in recent years. Focusing resources on the customer developing a sales and service culture and communicating managements direction, through business development and strategic planning have proven to be the keys for survivability, profitability and continued growth amongst the best in class contractors providing the basis to FMI’s current research. 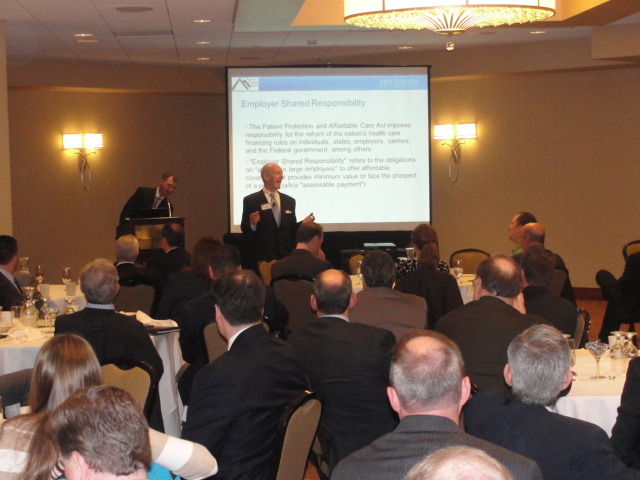 The Benefits and Pitfalls of Joint Ventures was the topic for the January meeting of the CFMA of Massachusetts. A panel comprising Michael Balmer, leader of the Northeast Construction team for Willis; Tony Starr, the Co-chair of Mintz Levin’s Construction Law Practice Group; and, Alice Sherman, a Senior Vice President with Willis, where her primary role is to manage the insurance and risk management needs of large, complex construction clients. For a variety of reasons, joint ventures have become an attractive and increasingly common approach for construction projects. Our presenters took the members though a discussion of the basic elements of a joint venture, exploring some of the practical challenges and discussion of some of the unique risk considerations. Topics presented include the legal, insurance and surety bonding advantages to pursuing joint ventures as well as the potential pitfalls that can occur when not enough time is taken with your outside, professional advisors in properly structuring the relationship. While joint ventures can provide a vehicle to move into new geographic areas, increase capacity, meet pre-qualification requirements and spread risk without in-depth analysis of the legal, insurance and surety considerations a great opportunity can go South. The February meeting will feature Gregg Schopman, from FMI, speaking on Driving Best Practices in Business Development & Developing Business Plans that work.